AFF offers a new series of Toray durable low energy BWRO and low fouling membrane elements that outperform the competition. This new generation of elements delivers an increase in performance for salt and silica rejection as well as energy savings, which means better performance at lower costs. These products have a wide pH tolerance for membrane cleaning. 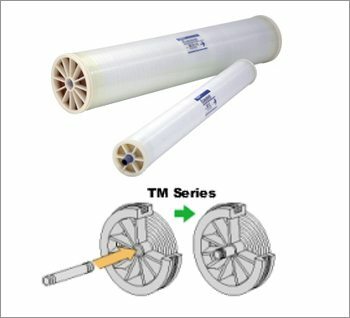 Toray membrane elements can be equipped with bi-directional brine seals which enable easy loading and unloading from either end of the pressure vessel, as well as cleaning in both directions. The new element series outperforms a leading competitor in key test benchmarks, making it the product of choice for low energy brackish water RO processing.